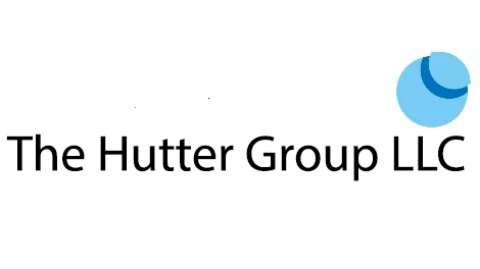 In Part 1 of this “Failure to Create REAL Patent Value: Keurig’s Story,” I asserted that the company’s current business woes can be directly attributable to a flawed patent strategy. To summarize, as a result of the Keurig Green Mountain’s failure to obtain durable patent rights on its coffee pods, there has been a proliferation of lower cost generic pods. Because these generic pods sell for about 40% less than the branded “K-Cup” pods, Keurig Green Mountain has and will continue to lose substantial revenue due to this increased competition, even while its coffee maker innovation remains wildly popular with consumers. The question then becomes how did the company fail to fully capitalize on the value its disruptive innovation created in the marketplace? One can see what went wrong with Keurig Green Mountain’s patent strategy by starting with the litigation record in which the lack of infringement by the generic brewing pod manufacturers was confirmed by the Federal Circuit. Significantly, in the patents asserted by Keurig Green Mountain against a generic coffee pod manufacturer, only method claims were at issue. These claims were found to not be infringed due to the “Patent Exhaustion Doctrine.” Without going into the legal weeds, this doctrine generally states that when a consumer buys a patented product, the patent owner’s right to tell her how to she can use the product is “exhausted” by the sale. Here, the court basically ruled that consumers had every right to use generic pods in the Keurig Green Mountain coffee makers that they bought and paid for and, as a result, companies that made generic pods could continue selling their products without incurring infringement liability. This decision opened the door for the generic coffee pods that are now inundating the market. Reviewing claim 1 of a representative Keurig Green Mountain patent asserted in the lawsuit, US Patent No. 6,606,938, we see that the claim addresses only the specifics of how the pod is structured and pierced by the coffee maker in the form of a method. (Patent experts: see note below.) Further review demonstrates that the company did obtain a patent to a pod for its coffee makers in 1997, which by 2012 had expired. Claim 1 of this US Patent No. 5,840,189 recites pod features that are striking similar to the pod in this tear down video. A first blush it would then seem that Keurig Green Mountain took its one chance to patent the pods in 1997, and when the patent expired in 2012 the public could expect to gain access to generic pods. However, given the amount of innovation in the Keurig Green Mountain coffee system over the years, it is highly unlikely that the company’s pods in the early 2000’s remained identical to the pods patented in 1997. I would expect that the attorney who worked with them was not privy to (or could not appreciate) the differences in the pods in the early 2000’s and he may have told his client that, because they previously obtained a patent to the pods, they could not generate additional protection. In hindsight, this advice was likely deeply flawed: if Keurig Green Mountain engaged in substantial R&D subsequent to 1997–which appears to be the case–the later pod design must have included features that would have amounted to patentable “improvements” over those in the earlier patent, one or more of which could have formed the basis of a patent on the pods themselves. Readers are likely wondering how, in retrospect, Keurig Green Mountain could have done a better job protecting its K-Cup innovation to provide the company with market exclusivity that would have extended beyond 2012. I am no expert on the technical specifics of how the company’s innovation works, but it is possible to speculate on what kind of claims would have at least made it harder for generic manufacturers to introduce non-infringing substitute pods. As someone with chemical formulations experience, I would hypothesize that the coffee or other material in the K-Cups must possess specific characteristics in order to make a “dummy proof” cup of coffee (or other hot beverage), where there would be a further innovation to getting the same flavor whether the cup was small, medium or large. 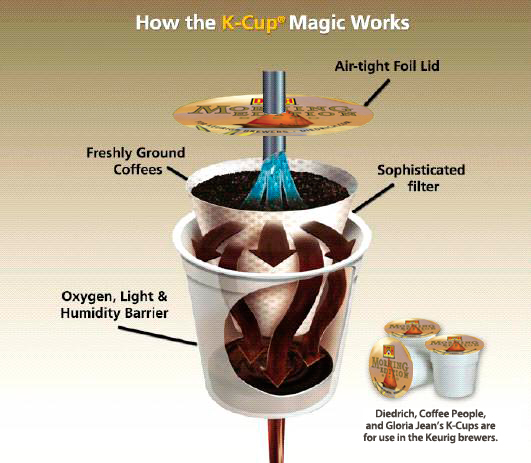 There also appear to be an number of other innovative features in the K-Cup such as a “sophisticated filter,” “air tight foil lid,” and a “oxygen, light and humidity barrier.” These innovations no doubt required a substantial amount of R&D to execute, but Keurig Green Mountain’s patent strategy failed to address what appears to be key technical insights that drive consumers to buy the company’s products. That is, one or more of these features could be instrumental to allowing the consumer to obtain a “dummy proof” cup of coffee. These innovations nonetheless remained unpatented and, as such, are available for competitors’ use without fear of infringement liability. Of course, if the company would have obtained claims to the characteristics of the innovation(s) that makes it possible to obtain the “dummy proof” cup of coffee from the K-Cup, it would be less likely that Keurig Green Mountain would be facing legal competition from generic pods today. All is not lost for the company, however: Keurig Green Mountain still holds valuable IP that can be leveraged to generate enhanced profits. The machines remain patented and the innovation is still popular with consumers. But, it is likely that sales of the coffee maker itself have reached a peak and are destined to decline as most everyone who wants a brewer acquires one. The “K-Cup” brand still holds equity, and many licensees will continue paying royalties for the right to use this trademark on their pods. Nonetheless, I expect that the increasing number of generic pod suppliers and the attendant price erosion may result in renegotiation of royalty amounts the next time the license comes up for discussion. Keurig Green Mountain is not ignorant to the fact that it failed to adequately define a patent strategy that protected the company from generic pod competition, but the company does not appear to be getting much better at IP strategy. One can see what appears to be management concern about future revenues when evaluating Keurig Green Mountain’s disastrous launch of its Keurig 2.0 product. With this product, the company admitted it went too far in attempting to lock out generic pods from their new coffee maker design using Digital Rights Management. Customers rebelled when they found they could not use less expensive pods as they could with their previous coffeemakers. In short, once the public had access to generic pods–which happened as a result of the company’s previously failed patent strategy–customers were not willing to give Keurig Green Mountain the ability to extract premium profits from them without also obtaining some sort of added value.